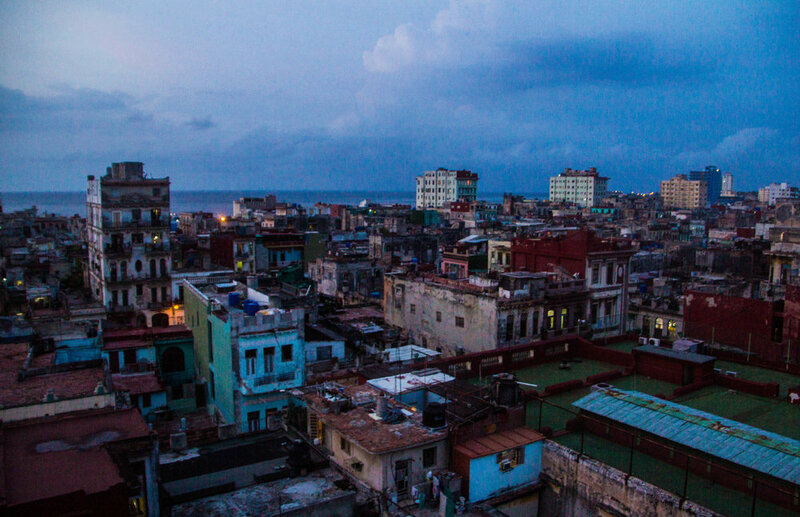 When you picture Havana, this is the neighborhood that most likely comes to mind. Old Havana is absolutely iconic. Even Americans, for whom Cuba has been off-limits for the past 57 years, are likely to have seen a postcard (or something) featuring Old Havana at some point, though they may not have known it. I already said a lot about Old Havana in the previous article, Peter & Havana Get To Know Each Other, but now I'm going to say more. 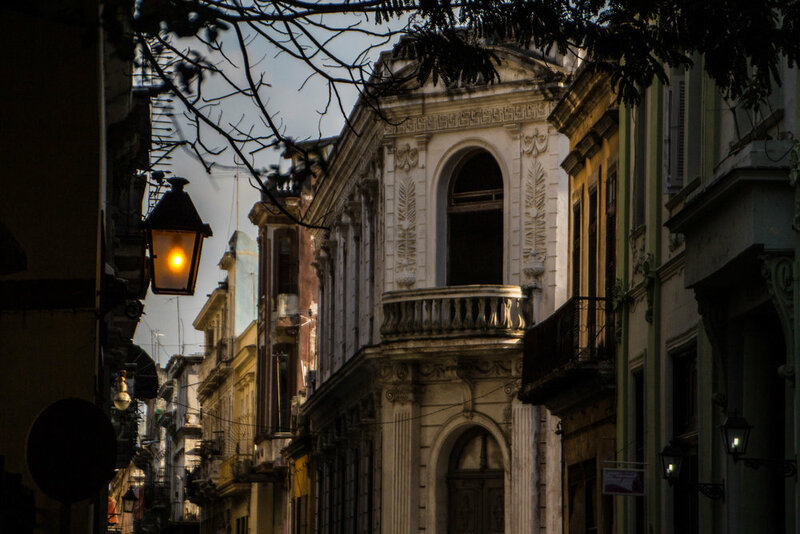 So whether you think of yourself as an adventurer or a vacationer, I would definitely recommend that you spend as much time in Old Havana as possible... so long as it doesn't interfere with your exploration of the remaining 3 neighborhoods I'm going to cover. Below I've listed a few different points of interest within the confines of Old Havana. This is just a small sampling though; walking through this area, you will come across 5 different "landmarks" in any given city block. Not all of them are anything to write home about, but some of them are also amazing. Happy wandering! 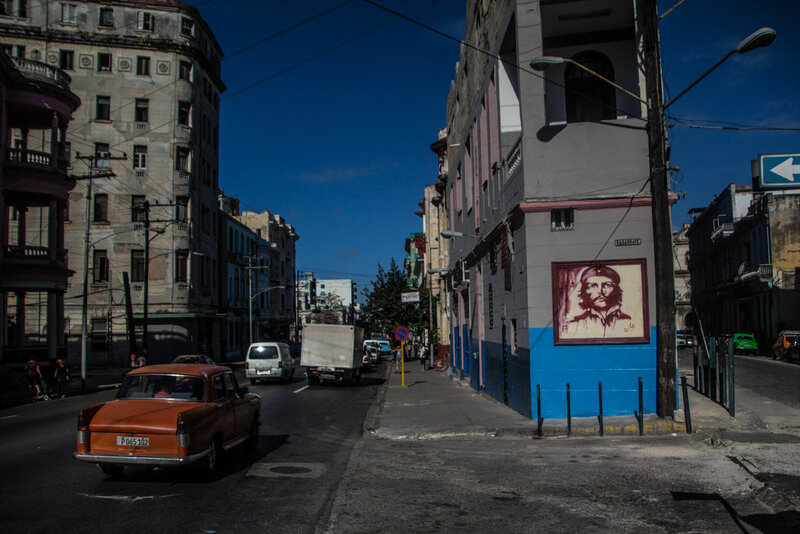 Central Havana is not entirely distinct from Old Havana. It is the transitional space in between the dense, urban alleyways of Old Havana and the leafy suburbs of Vedado. 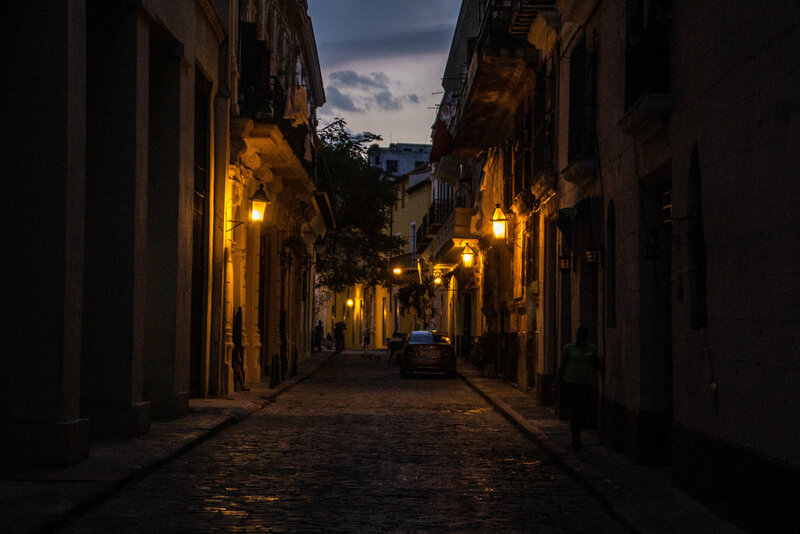 On its most easterly side, it is dense and urban, just like Old Havana, but as you walk westward, things will begin to feel more residential. However, Central Havana is still quite dense. It has almost 102,400 resident per square mile (or, roughly 39,540/sq km), and the streets are just as busy as ever. The transition between neighborhoods is gradual. Walking without a map, you might not feel like much of a change has occurred when you pass over the border between Old and Central Havana. 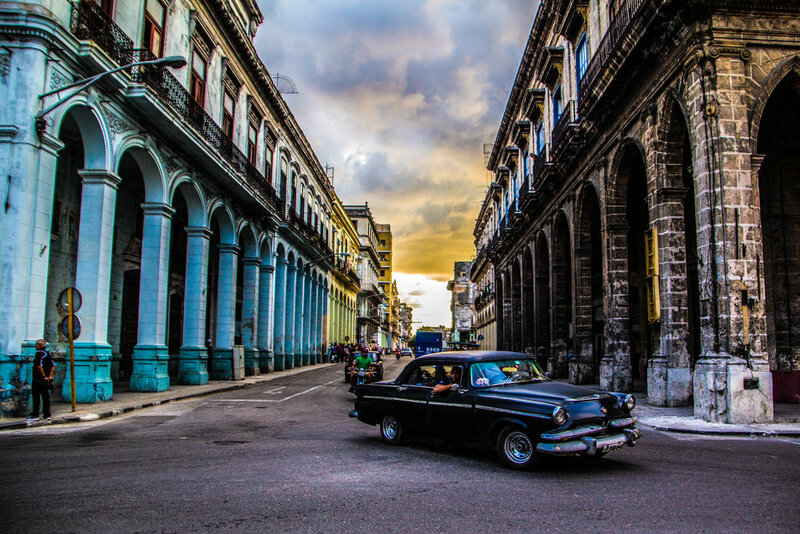 The biggest difference you might notice is the fact that all the touristy trappings of Old Havana will fall away, giving way to normal everyday Cuban life. The streets will begin to feel less European and more Latin American. 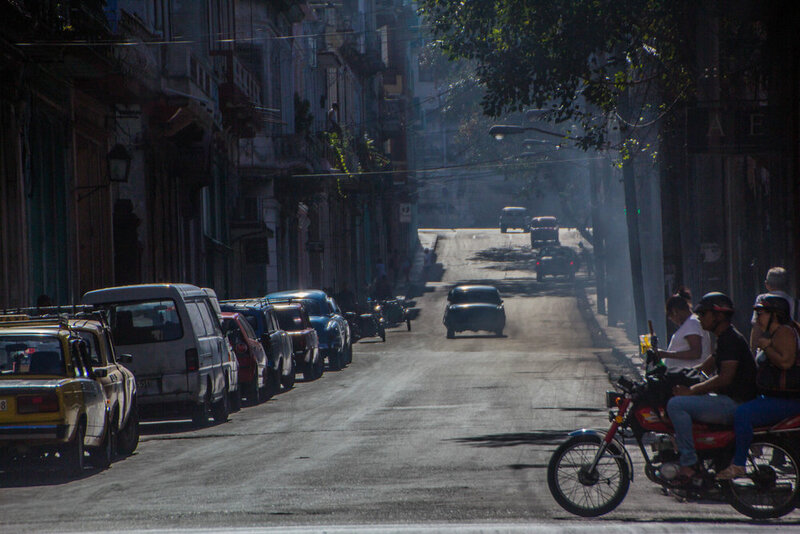 Moreover, you might also feel as though you are entering a rougher neighborhood, but let me assure you that Havana is actually one of the safest cities in the world (despite the way it looks). One of my favorite parts of Old Havana is the Malecón. 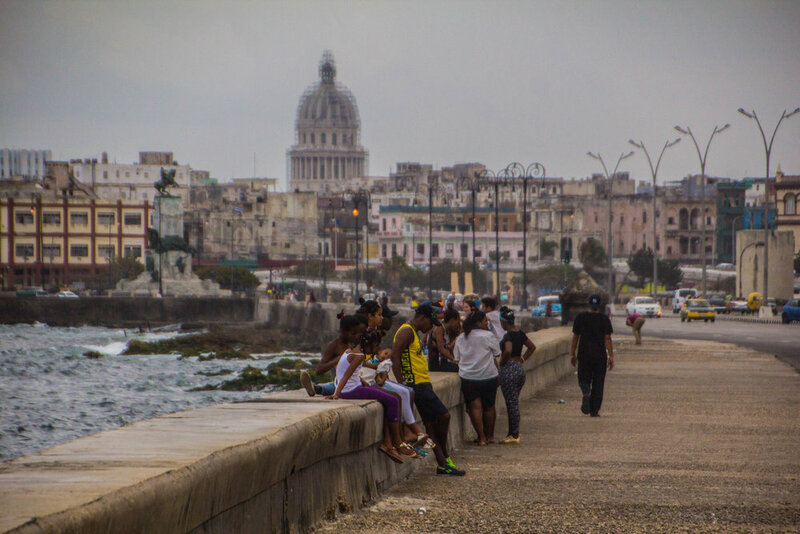 If you don't know, the Malecón is the water-front causeway that serves as both protection from storm surges and a social gathering point in Havana. 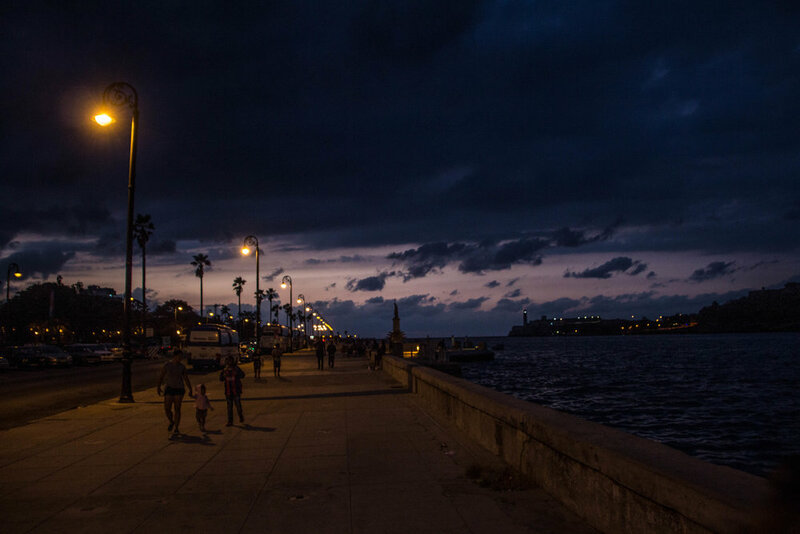 If you ask me, the most beautiful stretches of Havana's iconic Malecón run past Central Havana. That is the vantage point from which many of the photographs below were taken. It was a very cool place... I would have liked more time to wander through this neighborhood. 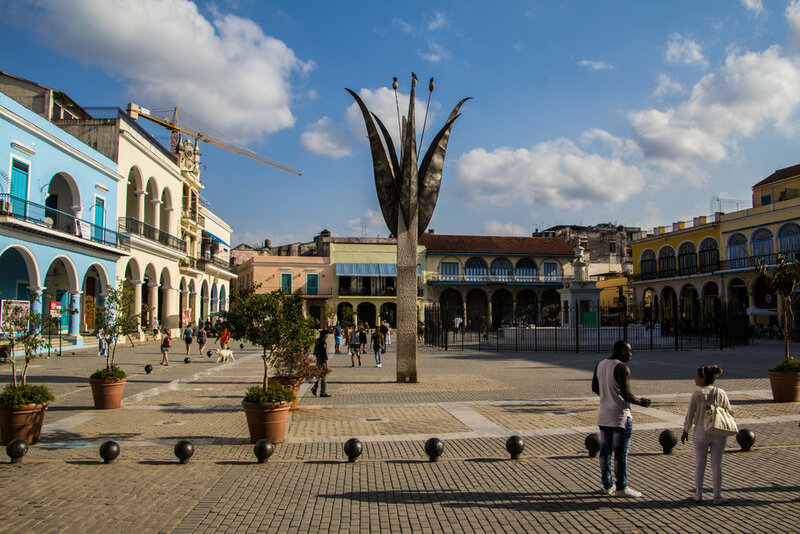 Below are a few landmarks you might want to check out in Central Havana; there aren't a lot, but that doesn't mean it's not great for walking! 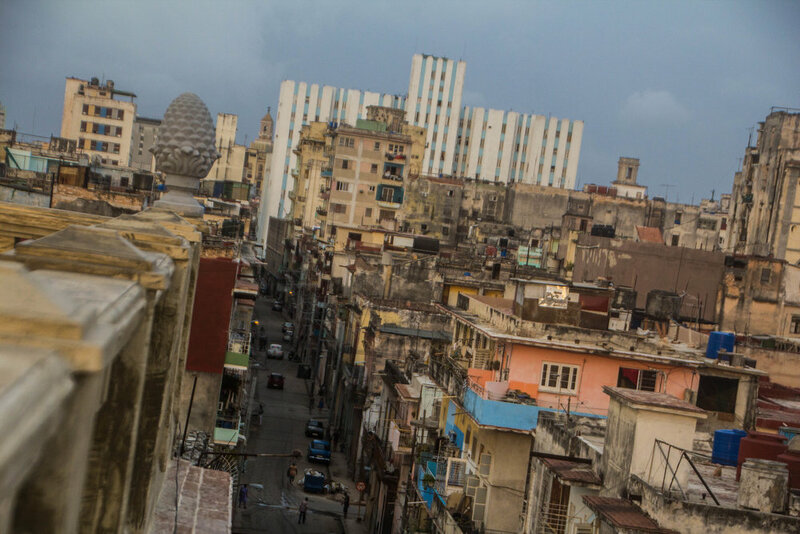 Continuing our walk westward from Old Havana, the density of the city will melt away as you walk through Central Havana, until finally, you emerge from the concrete jungle in Vedado. This is my favorite neighborhood in the Cuban capital. Want to picture yourself living here? Picture Vedado. Vedado sets the standard for "normal" life in Havana. It is full of things like restaurants, parks, hospitals, local theaters, schools, cinemas, and grocery stores. 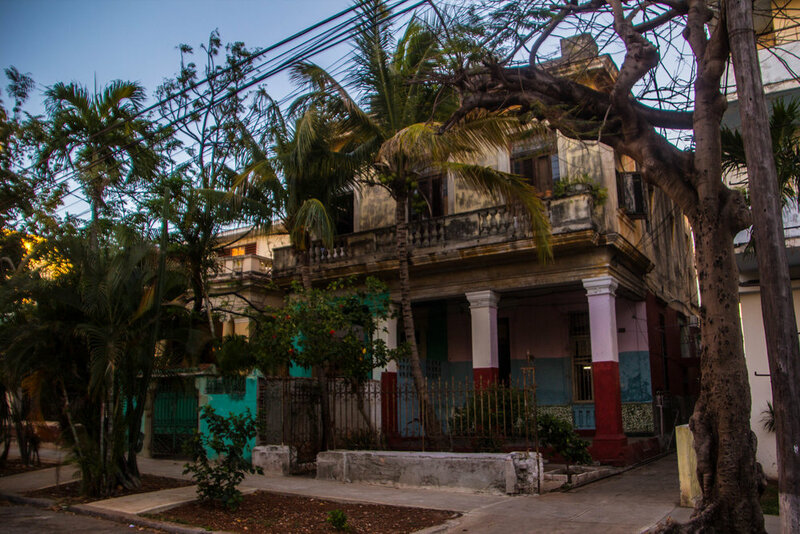 In this neighborhood, foreigners are completely immersed in the true identity of modern Havana. Walking from street to street, you will see a lot of gorgeous mansions. Or, at least they were probably gorgeous at one point. Today the majority of them have fallen into a state of disrepair, but what they now lack in beauty they make up for in intrigue. Some of these are the stuff of horror movies! Or at least, that was my first thought until I noticed that all of them still have families living in them. Seeing people walk out of one of these relics in their pajamas, carrying things like laundry hampers never failed to leave me scratching my head. Honestly, that may actually be the definining anecdote from Havana. I was glad of the time I got to spend wandering around the leafy back-streets of Vedado. Old Havana has its share of nightlife that caters almost exclusively to tourists, but Vedado is where the real party happens. It seemed to me that there was not a bad or unsavory piece of nightlife or culture in this whole damn neighborhood! Nearly all my favorite restaurants and bars in Havana were all in Vedado, like F.A.C., and 1830. Of course, we couldn't possibly have visited every establishment in this huge neighborhood, but I wish we could have! On the streets we walked past live music, play performances, delicious food, and small festivals. It was all very local. 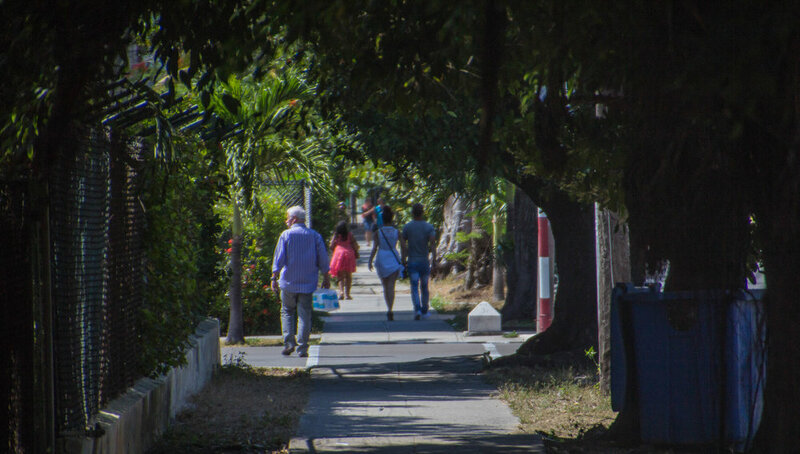 It seemed that for all of Vedado's many quiet suburban streets, there was also plenty of street life if you knew where to look. We definitely did not know where to look, but we spent enough time wandering around that we began to get a good feel for how Vedado's social scene worked. If you thought Vedado was suburban, just wait for Miramar. Miramar, which is sometimes grouped with the adjacent districts of Playa and Kohly, is where the money lives. 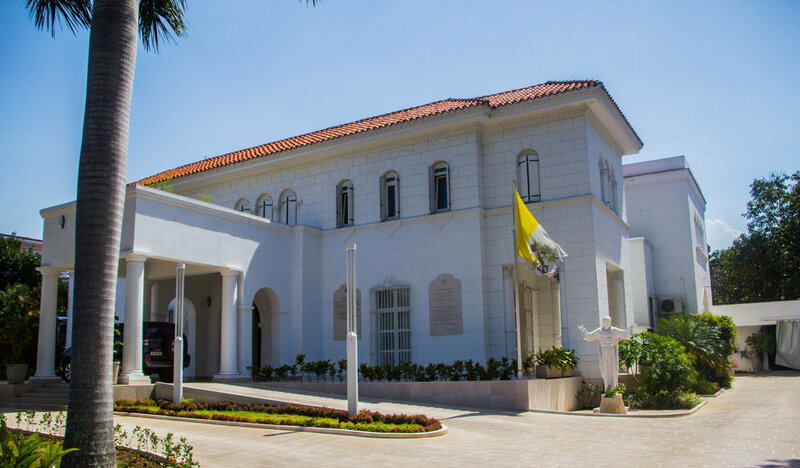 I had been impressed by the mansions of Vedado, even if they were a bit worse for wear than in their glory days, but some of Miramar's residences have been extremely well-kept. This is mostly owed to the fact that many of them have now been converted to Embassies. Indeed, this is the neighborhood of Embassies and diplomats. However, amongst these gated government outposts, there are token pockets of decrepitness. Some seem to have been abandoned once and for all, while others are still housing families, similar to scenes from the rest of Havana. 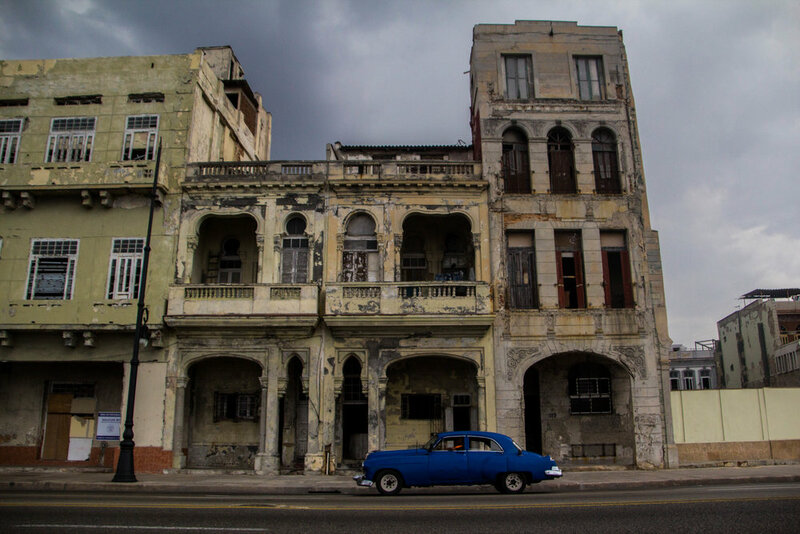 In the past, Miramar was where Havana's wealthiest residents lived. It was the Hamptons of Cuba, as well as the entire Caribbean region. 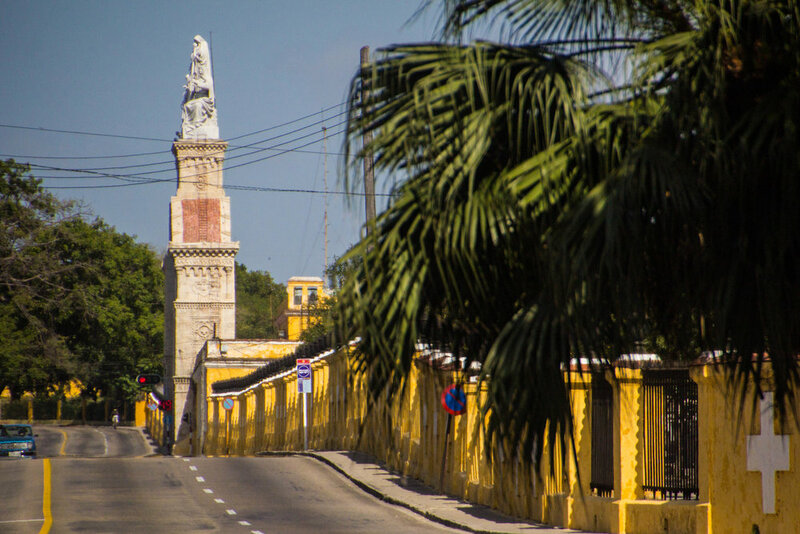 Today, though some of Miramar has been preserved, there are also ruins of yacht clubs and rusty urban beaches where Havana residents still come to get away. However, instead of relaxing under umbrellas, they sit with their families on concrete blocks and precarious industrial ledges. Below there are pictures of one of these urban beaches that I thought was pretty interesting and photogenic. Miramar doesn't have much to offer tourists other than some interesting walking and historical perspective. The only foreigners we saw in Miramar during our explorations sped by us in cars, presumably on a driving tour of Havana. These are easy enough to catch from Old Havana if that is something that interests you, but I was happy for the opportunity to take my time on foot. However, if the promise of the ruins of a Caribbean Gatsby-esque paradise gets you excited, here are a few jumping-off points. El Cocinero sits on top of Fábrica de Arte Cubano (F.A.C. ), which is an extremely cool place that we will get to later on in this list. Together, F.A.C. and El Cocinero occupy a huge industrial complex sitting out on the border between Vedado and Miramar. It seems that this complex accounts for a lot of the "coolness" that Havana has to offer, in the most modern sense of the word. During our visit, there was a competition between local electronic musical artists going on, so the restaurant was crowded with hip, chain-smoking people from Havana's music industry. It was loud, but it was super cool! El Cocinero feels like it should be a pretty expensive place, but the menu was actually pretty reasonable. The food was amazing, the staff were helpful, and the vibe was everything I had hoped for and more. My one regret is that we could only get a reservation during daylight hours. This place is supposed to be very cool (and photogenic) in the evening and night. So, I would recommend calling ahead for a reservation a few days in advance. It's going to be a better experience, and you can head straight downstairs to F.A.C. to get your night started! 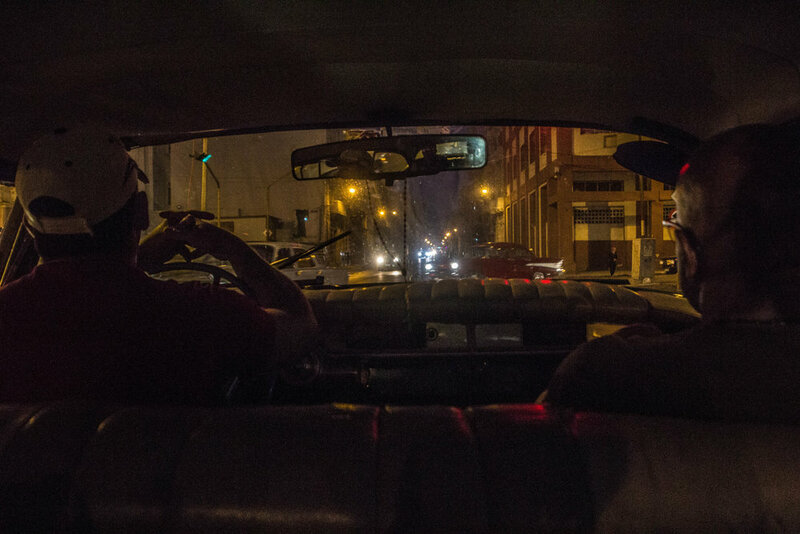 The taxi ride out here from Old Havana will cost about 10 CUC (10 USD). Floridita is the most historic and authentic piece of nightlife in Old Havana, and probably in Cuba overall. Tucked away on a street corner just a block away from El Capitolio (the Capital Building), Floridita has been operating as a restaurant and salsa club since it first opened its doors in 1817. EIGHTEEN SEVENTEEN! But, back then, it was known by a different name: "La Piña de Plata" (The Silver Pineapple). This name lasted about 100 years until the boom of tourism from the U.S. persuaded the owner to change the name to something more America-relevant. That story is actually kind of a bummer, but it's still the same establishment! Floridita was famously frequented by people such as Ernest Hemingway, John Dos Passos, Ezra Pound, and Graham Greene, and it retains that early 1900s sense of class and style even to this day. The never-ending procession of classic Oldsmobile cars passing by on the surrounding streets make this place a living time capsule. Drinks at the bar were tasty and (by Western standards) affordable, and at the front of the room, a high-caliber salsa group performed. I'm not normally a salsa fan, but I remember being very impressed with this group. That lady had some PIPES! The only reason we came to Paladar Los Amigos in the first place was because it was one of Anthony Bourdain's recommendations. I remember walking in and immediately wondering if we were in the right place. This restaurant is thought-provokingly close to a very nice hotel, so we were suspicious that Bourdain might have just been too lazy or hung-over to walk more than a block from his accommodations to eat. This is not the nicest restaurant, but it felt very local, so we took the leap of faith and ordered dinner anyway. Cuba isn't exactly renowned for its cuisine, but Paladar Los Amigos did not disappoint. I ordered the Ropa Vieja (which is Cuban-style shredded beef, along with a few other things), and I couldn't get enough of it. Paladar Los Amigos sits on an unassuming corner of Vedado, just a couple blocks from the Malecón. The biggest thing you should know about this place before visiting is that it's *actually* local. Many of the things on this list cater mostly to wealthy Cubans and foreigners... but not Paladar Los Amigos. This looks a lot more like the type of place where typical Havana residents would actually hang out. During our visit, we were the only foreigners, and there was not a word of English spoken. There is also no website for this place, because the internet is pretty much inaccessible to actual Cubans. Check this place out! 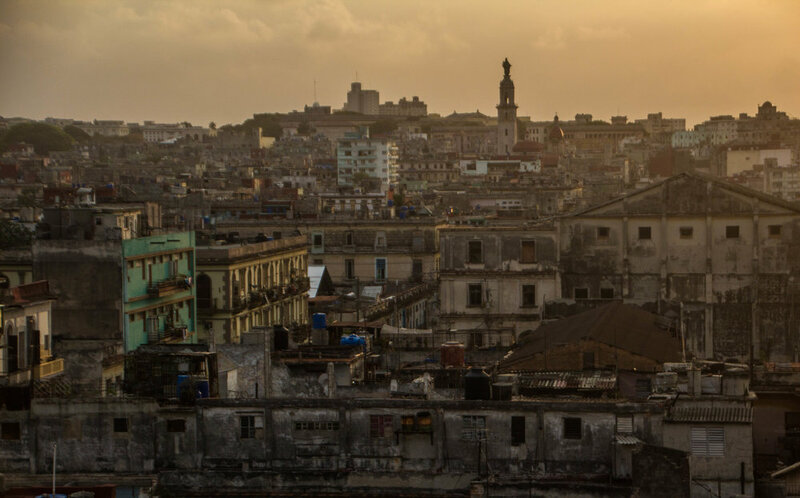 At the very end of the Malecón, where Vedado meets Miramar, sitting on an outcropping of land—almost on its own island—1830 is famously known as Havana's go-to Salsa club. 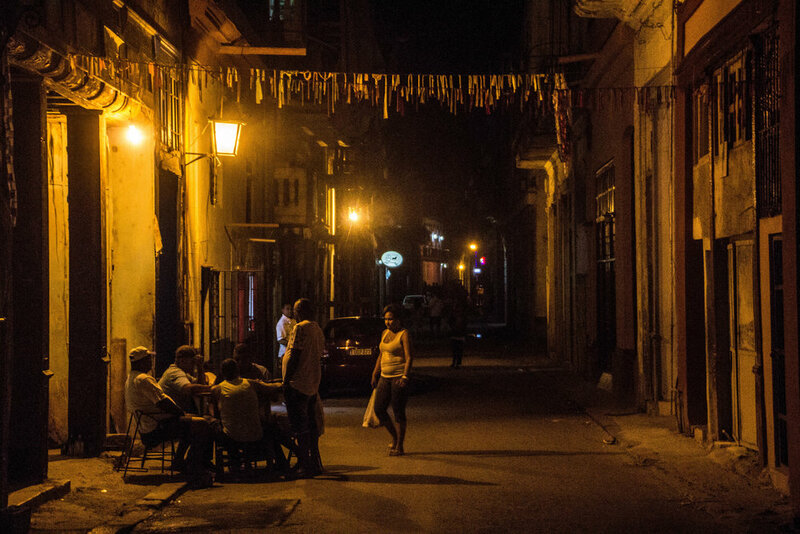 This is a place where locals and visitors alike can dance the night away to tunes played by some of Havana's best musicians. It's also a fine restaurant and a cocktail bar, but it's the music that has made it famous. However, you need to plan ahead to make sure that you arrive on a "beat night." Generally, the best night of the week to visit is Friday. You can expect big crowds full of people who are ready to get their groove on. Thursday and Sunday nights are also "beat nights," but the rest of the time, this is just a normal, quiet restaurant. I was an idiot when I was in Havana, and showed up on a non-music night. It was disappointing, but at least it gave me time to explore their Japanese garden. Yeah, they have Japanese gardens sticking out on a little island from the restaurants patio. It was a lackluster consolation prize for missing out on their legendary salsa nights, but you can learn from my mistakes. One of the photos below is not mine. Can you guess which one? Los Naranjos is pretty fancy. It's so fancy that the entire wait-staff wears tuxedos and is fluent in English. I felt a little underdressed, but there is no dress code. Come as you are! The food is pretty expensive but you get what you pay for. My dinner date and I ordered the paella and the steak, both of which were incredible. I would highly recommend either of them. Los Naranjos occupies the top floor of a historic Vedado mansion, which means that it was built in what used to be somebody's house. And to dine here, that's exactly what it feels like. The main seating and bar areas have been modified to feel like a restaurant, but down a long hallway adorned with coffee tables and framed pictures, there are other dining areas that literally feel like somebody's dining room table. There are also a few "patio" tables on an elaborate porch overlooking a quiet Vedado backstreet. We made a reservation, but that turned out not to have been necessary. Los Naranjos was far from crowded, and I doubt it ever has been. Siá Kará Café sits in a mostly vacant alleyway in Old Havana, just off of El Capitolio. Through Siá Kará's weathered set of Spanish doors, the sounds of music fill this alleyway late into the night. Like Cuba as a whole, music is central to the identity of this little cocktail bar. Every night of the week there are local musicians jamming through salsa and jazz standards on the house piano, and the space has clearly been designed to encourage participation. To me, one the coolest things about Siá Kará Café was the set-up of the seating areas. Long sprawling couches lined the walls of every available nook and cranny, and if there's one thing I love, it's a good nook! This place is a fun, cozy little refuge from the stifling Cuban heat. If you're in the area, step out of the heat and cool down with a few Cuba Libres! I actually found out about Siá Kará Café from the New York Times, so that should give it some additional street cred. Fábrica de Arte Cubano might be the coolest piece of nightlife, not just in Havana, but the whole goddamn world! It's hard to summarize this place in just a few paragraphs, but I'll do my best. F.A.C. is a huge industrial complex that serves a wide variety of artistic functions simultaneously, all the while serving hundreds of drinks per hour. Entry costs 2 CUC (2 USD), but you had better get here before 9:30pm or you'll end up waiting in a VERY long line. Inside is a crowded maze of art exhibitions, cocktail bars, dance performances, film screenings, jazz, electronic, and indie music performances, and food trucks. It took me about an hour of constant walking (with a few breaks to grab additional drinks) before I had made it to every room in this giant... THING. The constant swirl of people, art, languages, and culture all around me was simultaneously exciting and exhausting. With so much at my fingertips, I decided that the best course of action was to order a few more drinks, sit back, and soak it all in. Do not leave Havana without coming here. It's incredible. Last on our list is La Guarida, or as it was first described to me, "the restaurant that Jay-Z and Beyonce went to." 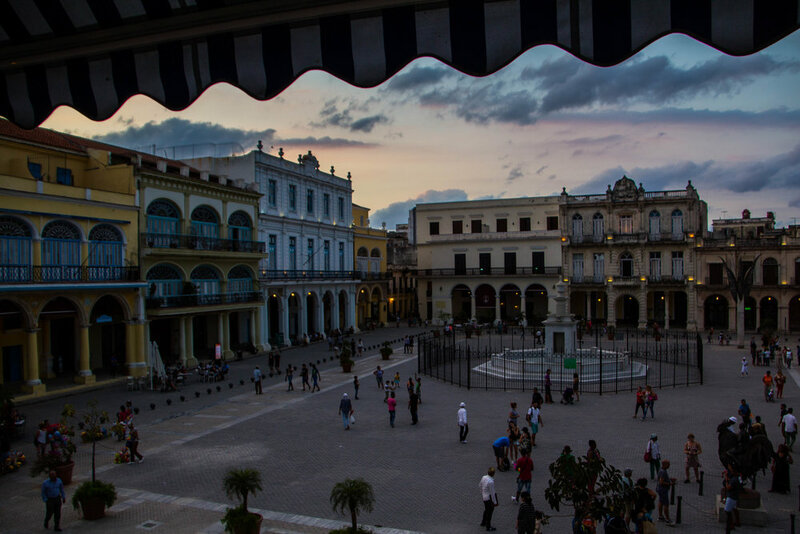 La Guarida is the nicest of the nice in Havana. There is no restaurant more elegant, nor more expensive than La Guarida in this city, but it is well-worth the cost. Our food was, of course, amazing, but the most memorable thing about La Guarida was not the food, rather, it was the venue. Our taxi dropped us off in an urban street in Central Havana at the entrance to a building that was so decrepit and so obviously vacant that we weren't sure if we were in the right place. Reluctantly, we climbed a weathered flight of stairs to arrive in yet another vacant room. It was elegant and interesting, but it was a ruin. Still, we climbed higher, and finally, on the 3rd floor, we found the front desk. We had dinner on a small balcony overlooking that unassuming Central Havana street, but there was still more to see. La Guardia turned out to be huge. 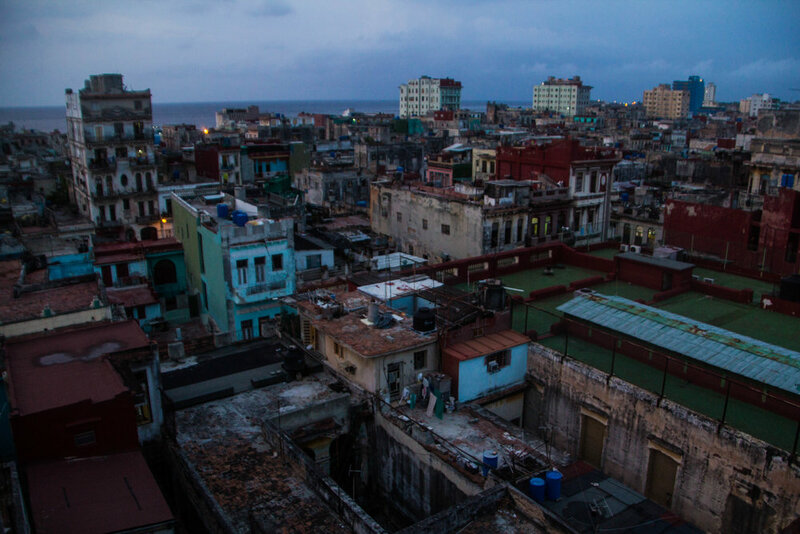 Down a long hall way, and up a few more long, twisting flights of stairs, I emerged on a rooftop, overlooking pretty much all of Havana. There were some seating areas on these rooftops (yes, rooftops—plural), but much of it was completely vacant. La Guarida somehow managed to combine urban exploring with fine dining, and I loved it. However, if you don't feel like paying for the full fine dining experience, there is a bar one of these rooftops that is open to the public. If you visit Havana, you need to at least get a drink there. I finished my dinner in a few different installments. 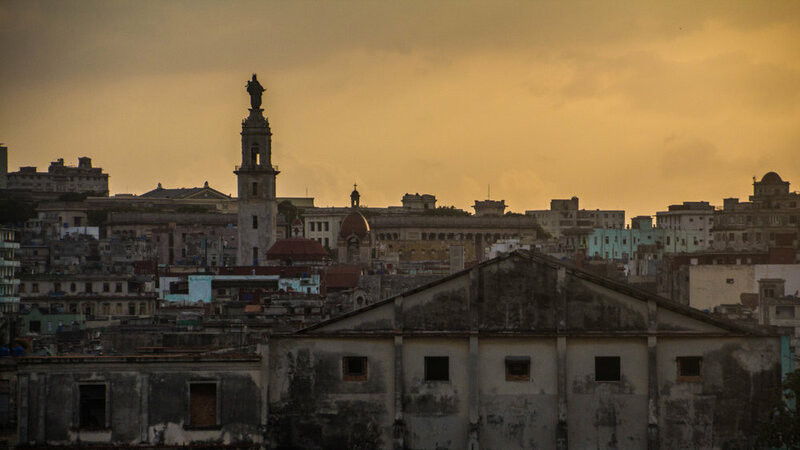 The light was changing fast, and I needed to be on that roof to capture Havana as twilight fell over the city. I ran up and down those stairs at least 10 times to take the following collection of photos and simultaneously finish my dinner. I probably wasn't the greatest dinner date, but I'd say these trips were worthwhile. I mean, look at these views—come on! 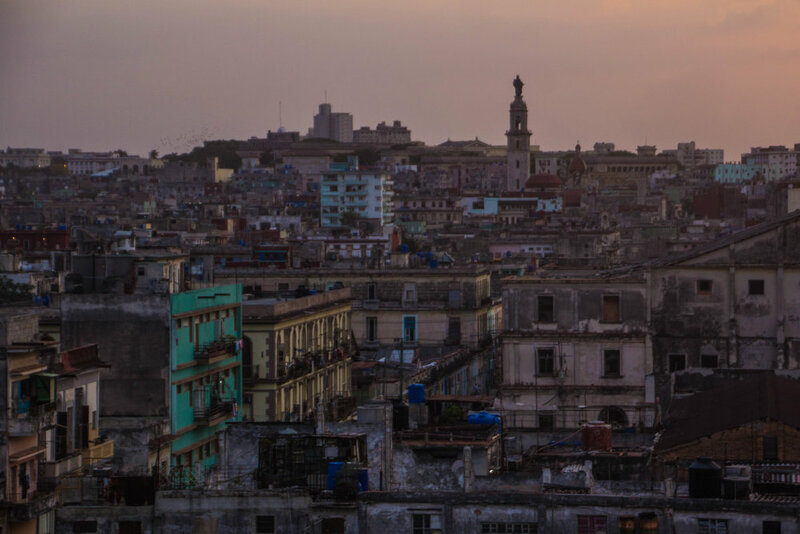 Havana looked gorgeous as the sun slid below the horizon. That's about it! Remember that it's a huge hassle to access the Internet from Cuba, so do yourself a favor and write down the names. addresses, and phone numbers of the restaurants you want to visit. 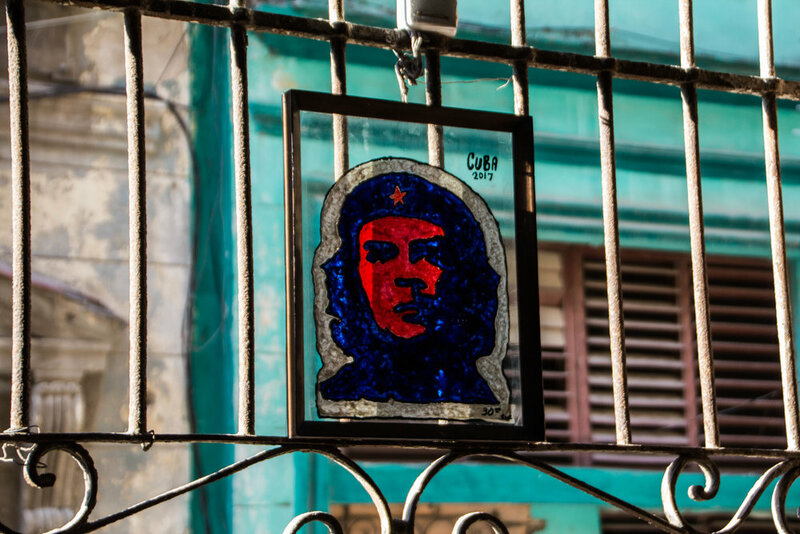 To learn more about Cuba, I would encourage you to check out the resources below. If you're not an American, you can just skip over the "Visa" section of travel guide below. 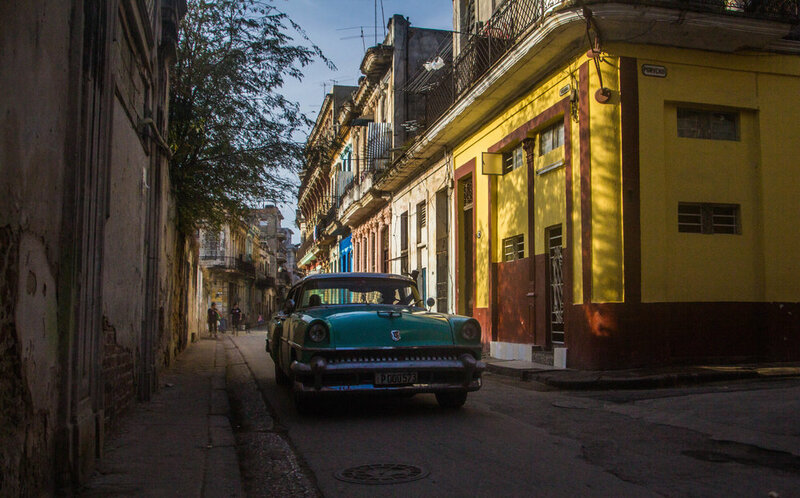 And to see all of articles about Cuba that have been published, visit our official Cuba index. If you have any questions about Havana or Cuba at large, feel free to reach out and ask me! I'll get back to you as promptly as I can. Cuba is an amazing country, and I think every westerner will be better off for having had a meaningful experience there.